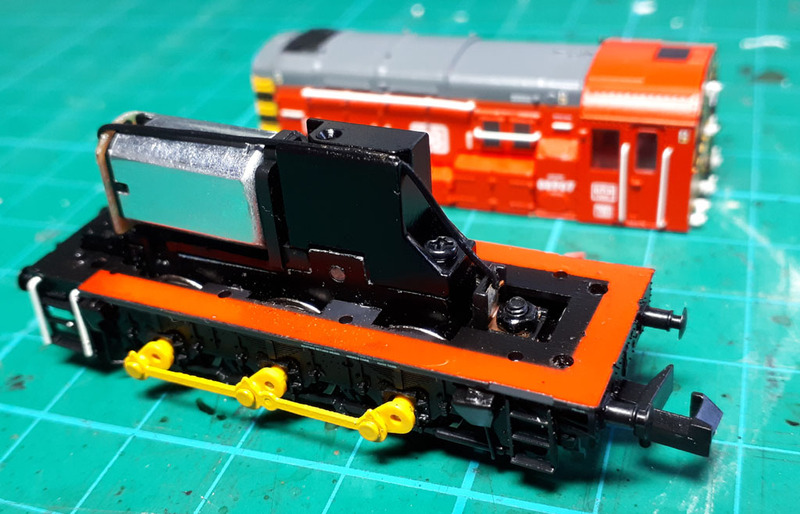 No N Gauge layout seems to be complete unless it has a Farish 08 trundling around somewhere, going about its shunting duties! 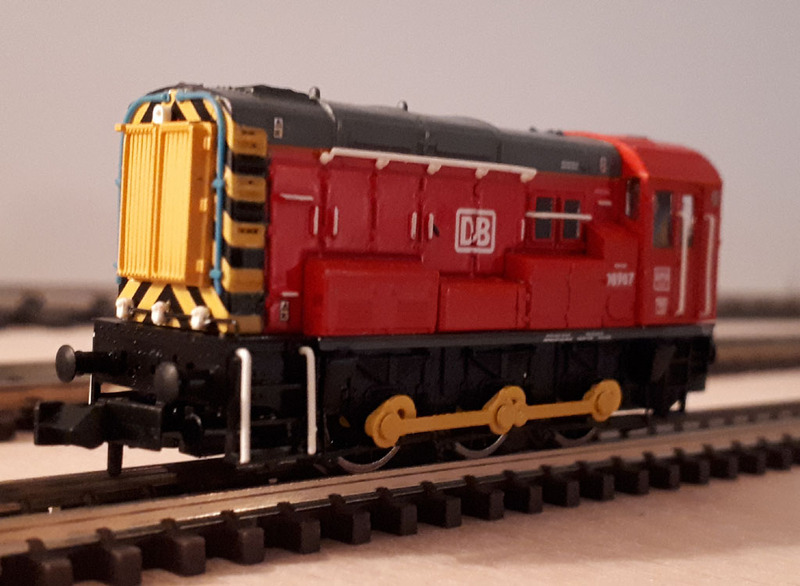 However, with DCC Sound being added to so many of the other larger locos, the 08 seems odd as the only silent mover, so it is crying out for sound itself! This is no small challenge though, as you can imagine by the tiny dimensions we are dealing with. Below are a few different approaches to achieve the dream, including one that is fairly simple using a CT micro speaker, and another using a modified standard CT sugar-cube speaker, both in the cab. 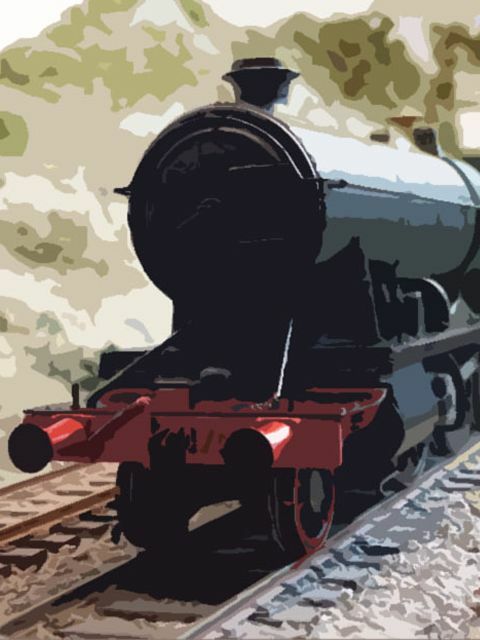 Both solutions take advantage of a CT SL76 decoder, located in different places. The final example uses a Zimo MX649 and Minnow speaker, which is the recommended approach now. The choice of which method to go for will be down to your sense of adventure and your pursuit of volume, as the standard sugar-cube speaker will provide masses of volume compared to the micro cube, and the Minnow decent output without making the install too tricky. 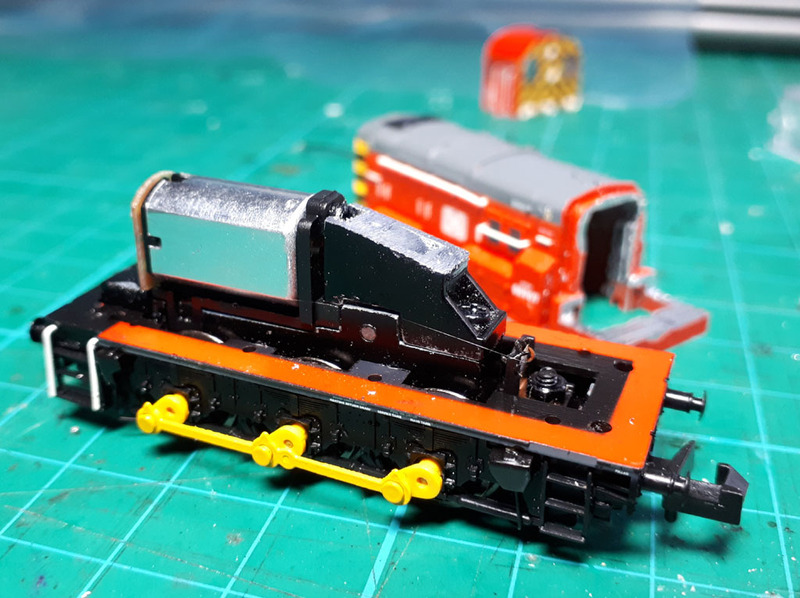 Note how the inside of the loco's body has been milled down a little with a Dremel to create just enough space for the SL76 to sit flush above the motor. A tiny bit has also been ground off the top of the motor and mount to make it flat. The decoder is then protected and stuck to the top of the motor with trimmed wires connecting for pickups and motor. Connections are quite simple, with the only tricky bit being the isolation of the front pickup from the motor terminal - bend the pickup tab away from the little circuit board on the front, soldering your decoder pickup and covering with a small piece of heat shrink to prevent it connecting with the motor connection. The CT micro cube speaker can be slotted straight into the cab area, trimming the speaker wires appropriately as you go. Secure in place somehow, perhaps using some thick double-sided tape or Black Tack, ensuring that all electrical connections are safe. The second solution really goes for it, with a reduced height enclosure on the standard CT sugar-cube speaker - photos kindly provided of a masterpiece of an install by Carol Harmond aka 'WhiteSwan' (Compiled by Caz, copyright reserved 2012). 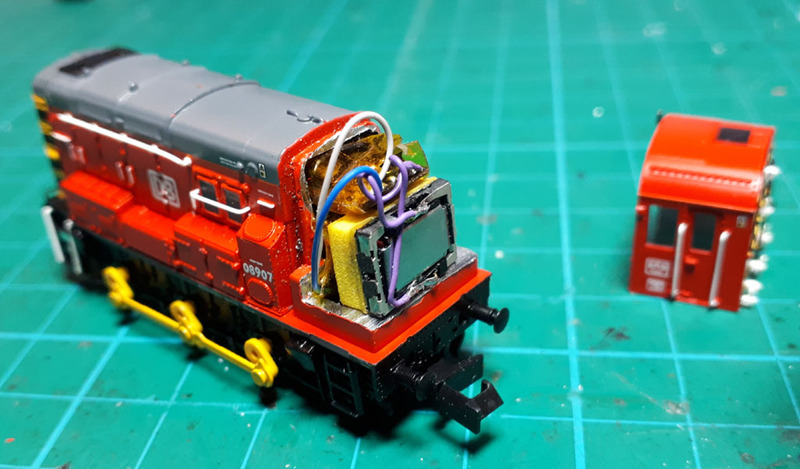 In this example, the SL76 has been mounted diagonally with some minor mods to the chassis itself, and (not shown) a small 16v/100uF capacitor (for stay-alive) is squeezed in at the front of the loco. This install is very tight, and not for the faint-hearted, but the result is stunning! 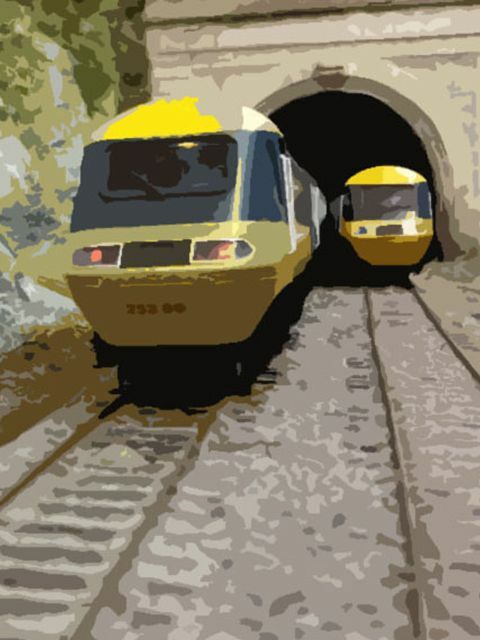 (Text below also Compiled by Caz, copyright reserved 2012). 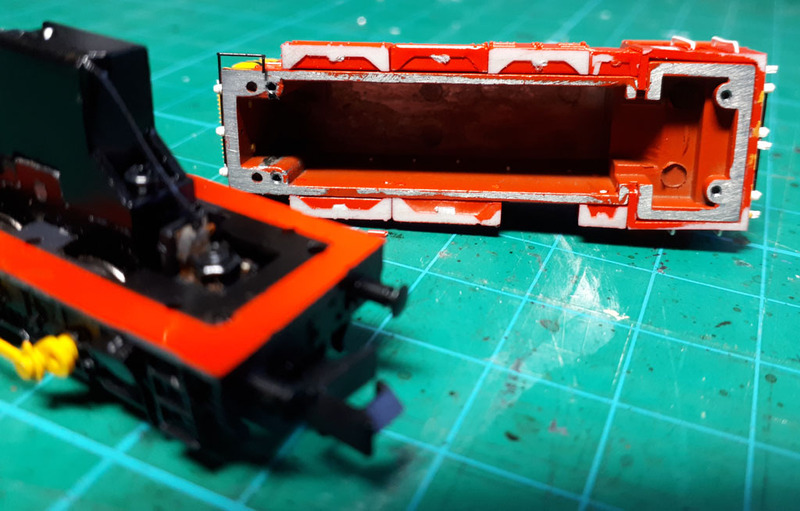 First job is to disassemble the body from the chassis by removing the 4 very small screws on the underside of the chassis, hidden in the four corners. 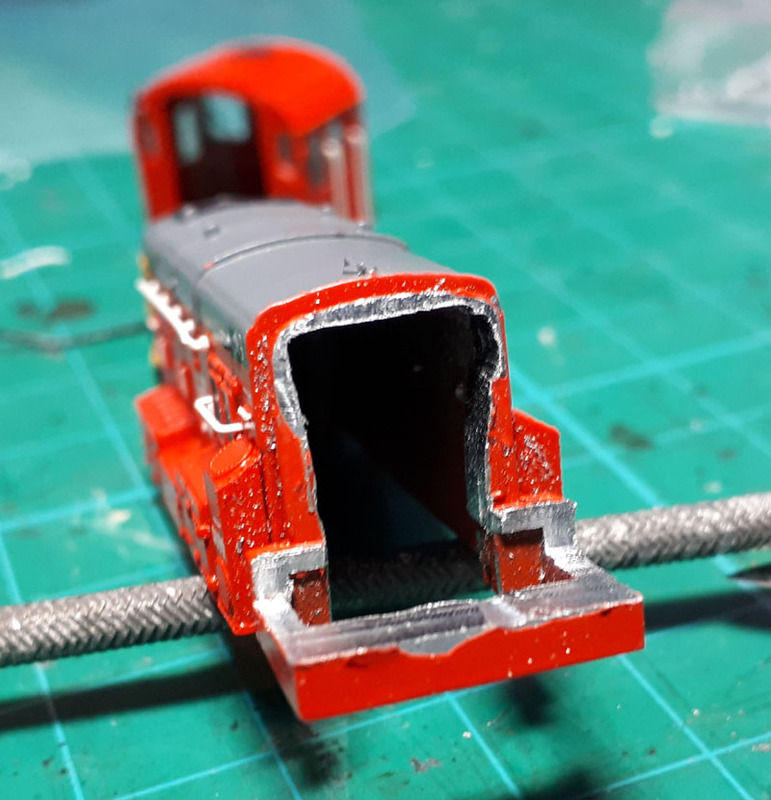 Once the body is clear of the chassis, you can slide the cab part of the body away from the main body shell, it's difficult to start but does slide off. 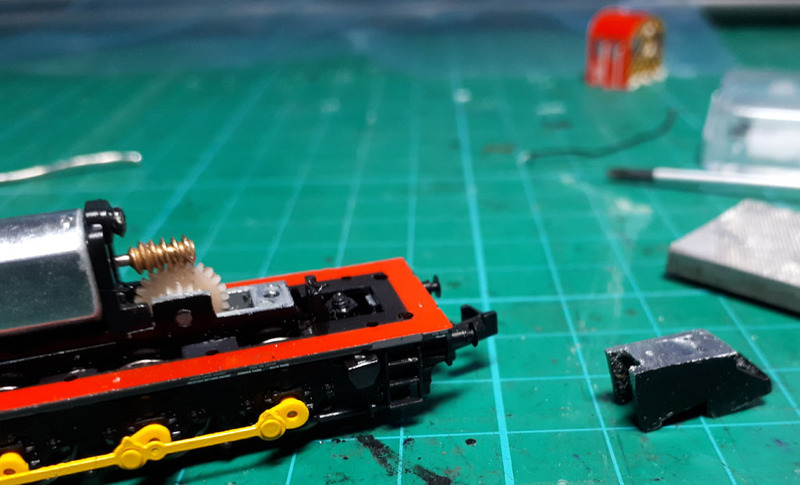 To modify the body you have to remove the cab detail area and some of the floor to make enough room for the decoder. 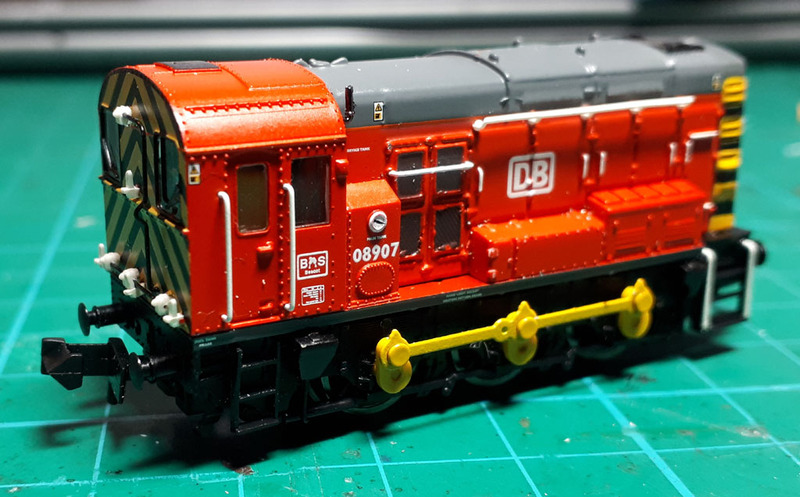 Remove as much as you dare but leave enough metal for the cab fitting track and the four screw mounting holes. I started with thinning out the floor of the cab, I used a very fine craft saw to cut out the section as shown below. To give you some idea of how the decoder fits, here's a dummy decoder in situ. Next to modify is the gear box cover, it is only held on with one screw and just pulls off upwards. 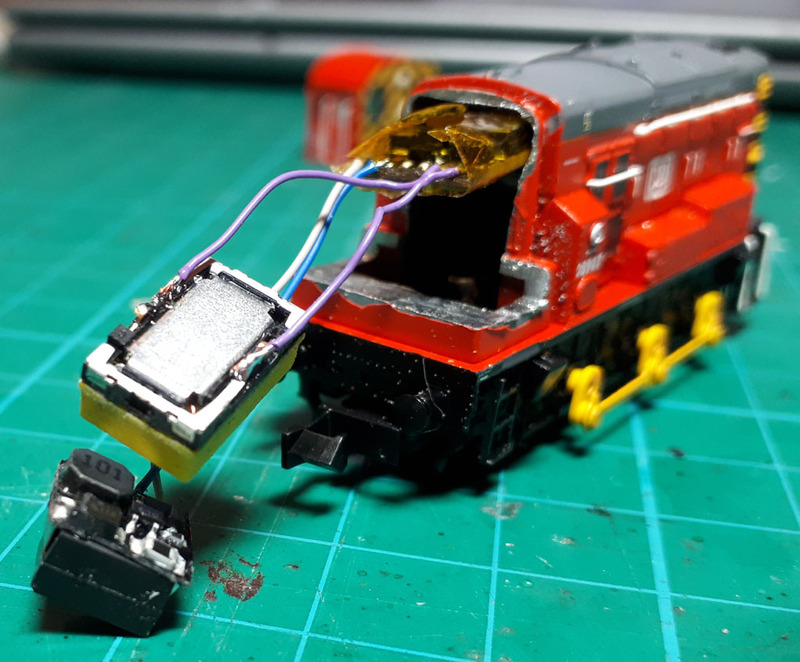 This needs the corner removing to enable the decoder to lie at an angle and another slot needs to be cut on the top for the extra wires between the front of the loco and the motor. 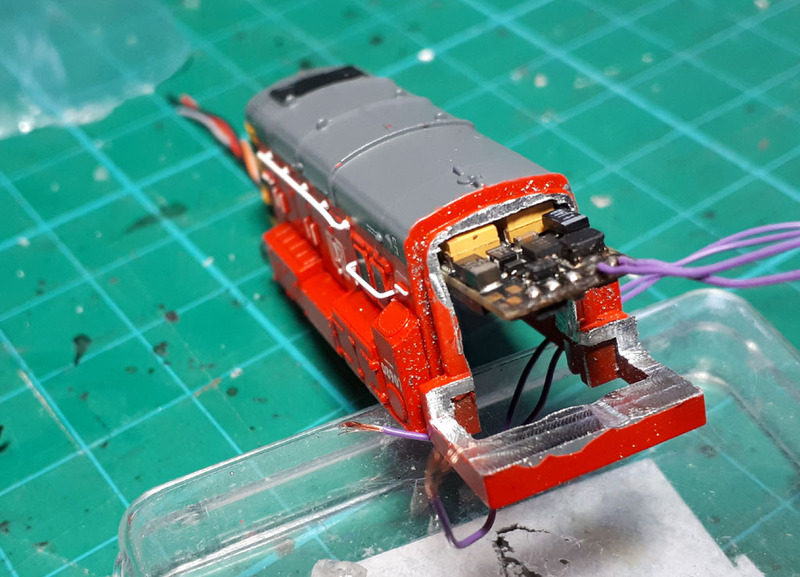 You will also need to modify the chassis at the back, near where the black wire is attached, this requires a small chamfer to allow the decoder to sit a little lower so the upper-most end of the decoder doesn't foul against the body. It is plastic, so a small sharp knife can be used to cut away what's needed. 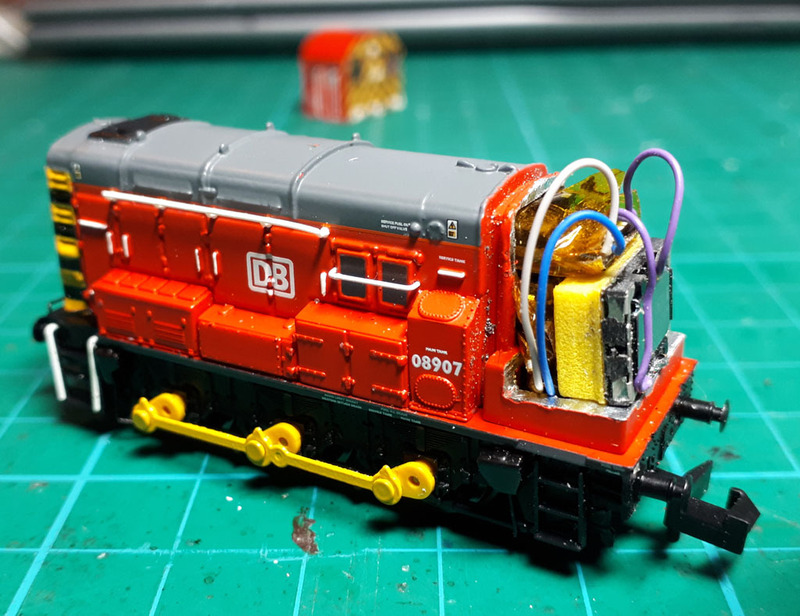 Also paint any exposed metal where you've modified the body, this will help insulate the decoder from shorts. 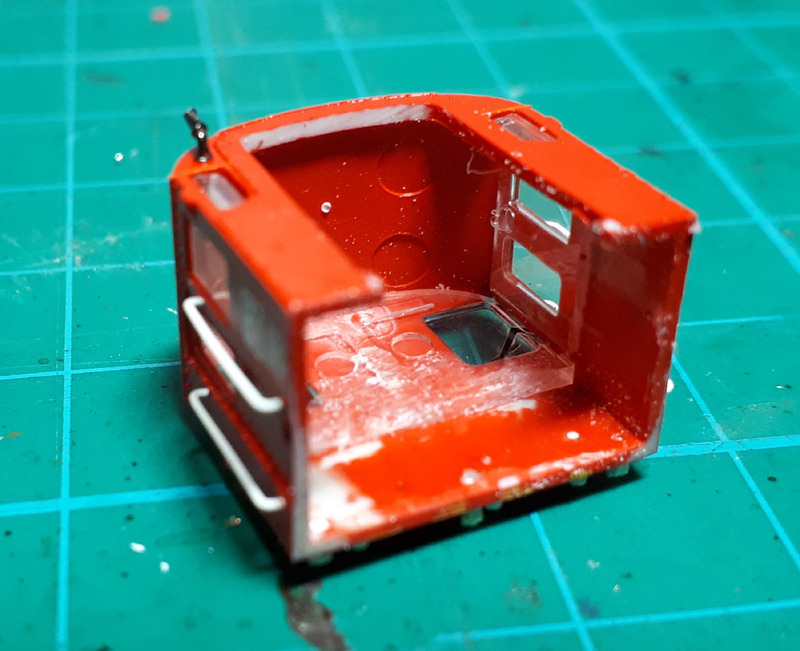 You will also have to remove all the glazing from inside the cab otherwise the speaker won't fit. 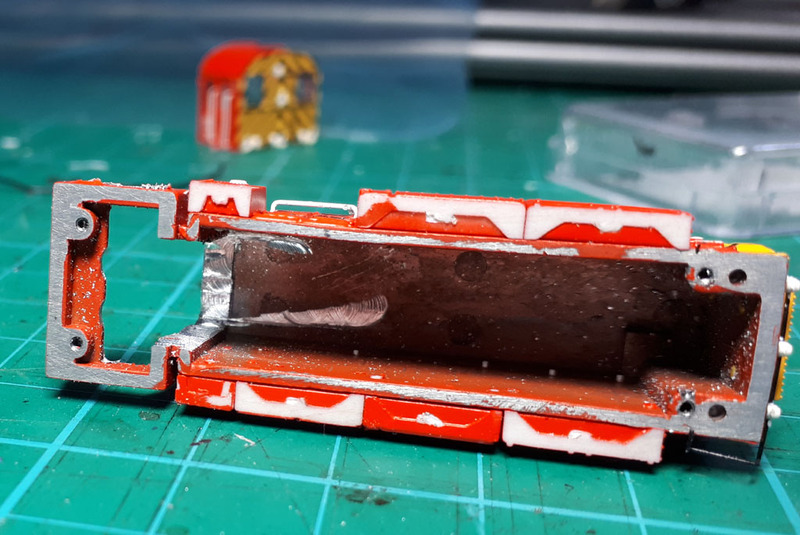 Easily pops out with a little pressure from the outside on the panes, if they've been a bit slap happy with the glue, you may need to use a sharp knife to leaver them out from the inside. 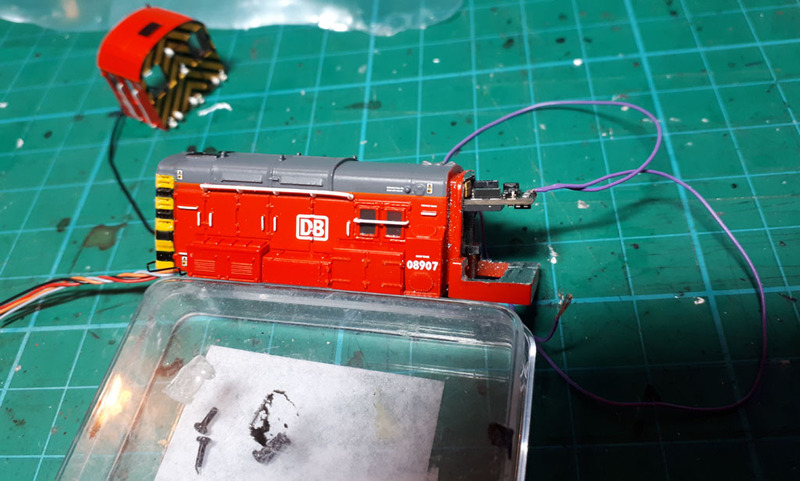 You will need to remove the existing black wire from the tag at the back of the loco and from the motor. 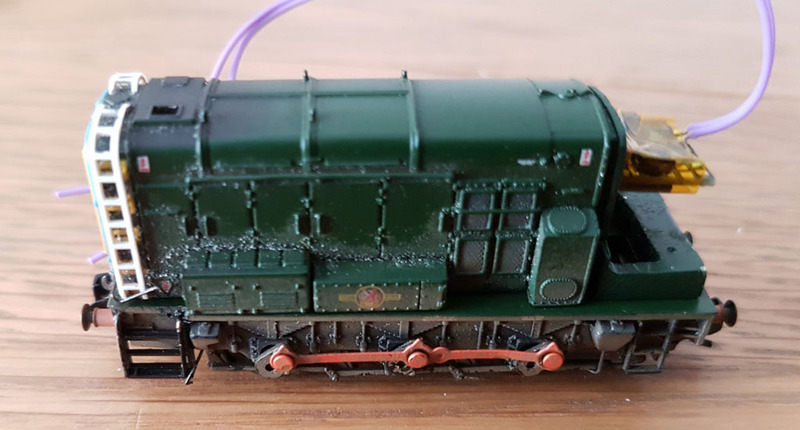 Note where this wire is as you will need to solder the black wire of the decoder to the tag at the back of the loco (track power) and the grey decoder wire to where it was on the motor housing terminal pad. With the wires upper-most, locate the decoder against the chassis, I used double sided adhesive tape on the back of the decoder but didn't actually remove one side of the backing paper, only sticking it to the decoder as an insulator. 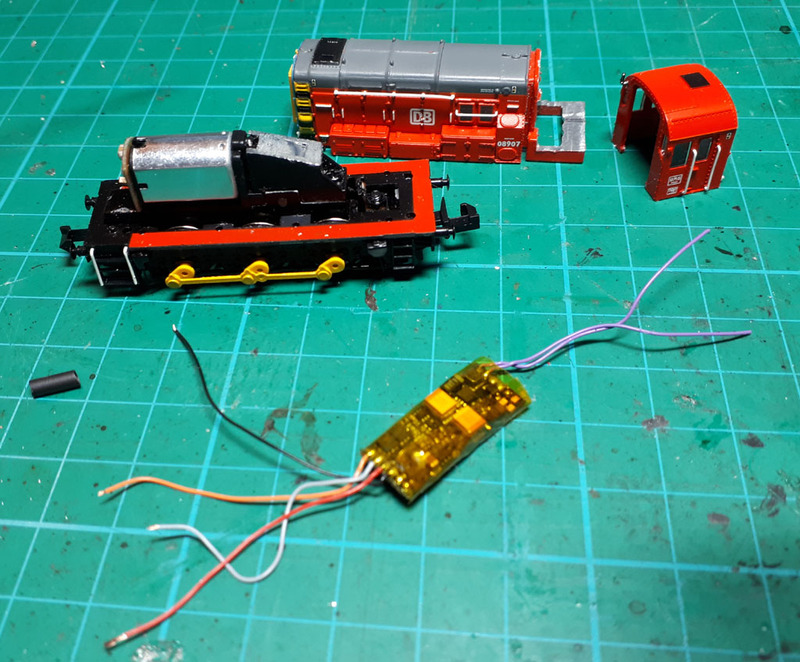 Cut the decoder black wire to length and solder it to the tag at the back of the loco now as this will be covered by the decoder. Once soldered in position, place a small piece of insulating tape over the exposed tag to help insulate from the decoder. Also put a small strip of insulating tape at the bottom of the decoder where it touches the chassis to insulate it from the body housing. 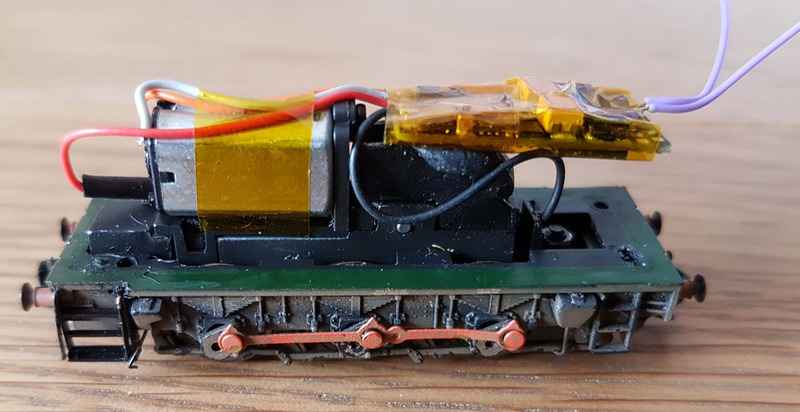 The other track power pick up needs to be isolated, I did this by inserting a piece of card between the tag and the terminal on the back of the motor housing, I also bent it slightly to one side, see below. Solder the red wire of the decoder to the insulated tag (track power pick up), the grey wire to where the original black wire was attached to the motor and finally solder the orange wire of the decoder to the terminal on the motor board that the tag used to make contact with. See the above picture. 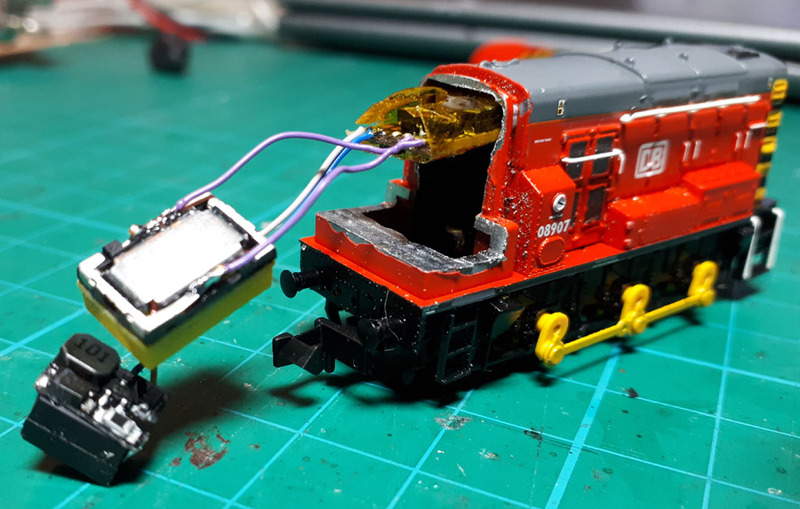 Just to re-cap, track power pickup, black and red wire is via the two tags, motor power, grey and orange wires soldered direct to the motor terminal pad. 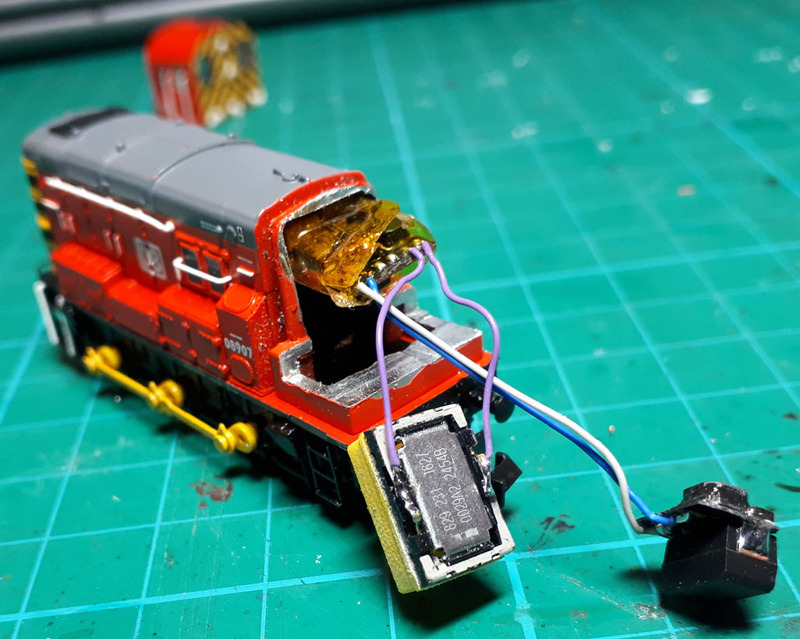 Lay the wires that go to the front of the loco in the grooves of the gearbox housing (I've left the light feed wires intact as I hope to fit some lighting) but ensure if you do this that they are all well insulated at the free ends or you'll blow the decoder. Carefully replace the body ensuring all the wires at the front are in the nose area and thread the rest of the wires through where the cab control panel used to be, including the brown speaker wires. I've left the speaker wires temporarly long for testing purposes. It doesn't matter which brown wire goes to which speaker tag, there is only one speaker so you don't have to worry about phase errors. You will now need to modify the cube speaker and the speaker sound box housing. You only need to cut the smallest corner off of the cube speaker and the housing so that the speaker goes right into the roof area. You will also need to reduce the depth of the clear plastic sound chamber by about 50% so that it is much thinner in profile. I did this using a razor saw. You have to use the sound chamber or you won't get the volume of sound needed. 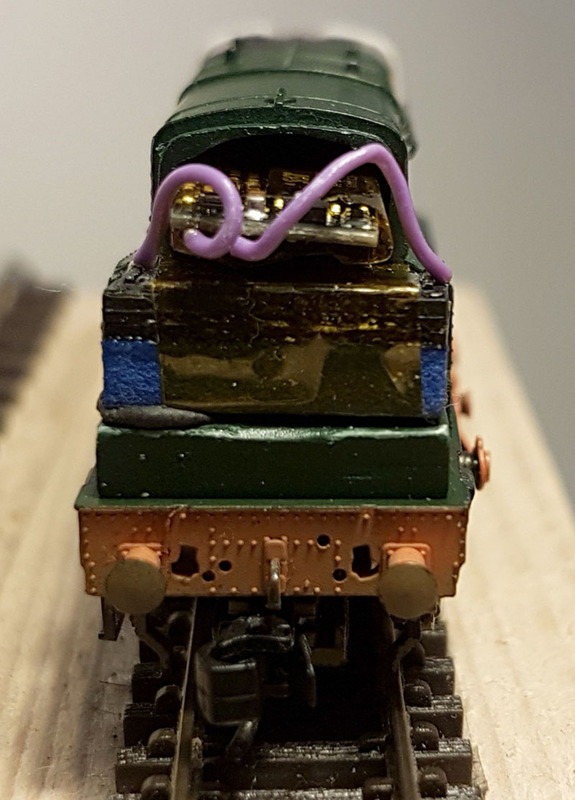 Once you're happy that it all works, (shorten the speaker wires if you've left them long for testing purposes) then put the speaker and housing onto the back of the loco. Again make sure if you have loose wires that they are well insulated. As you can see, it's a very tight fit but it does all go in if you've made enough room. 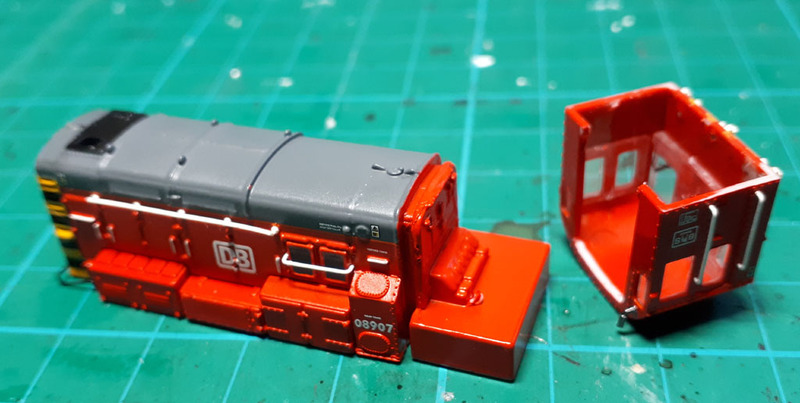 I had to retrim some of the cab area again to make a little more room for the decoder and speaker, it's a matter of trial and error. Carefully replace the cab sliding it down its grooves, ensuring you don't trap any wires and the speaker is vertical. Job done! Our next example uses a Zimo MX649, which is the preferred decoder nowadays, as the Zimo performs much better than the CT. 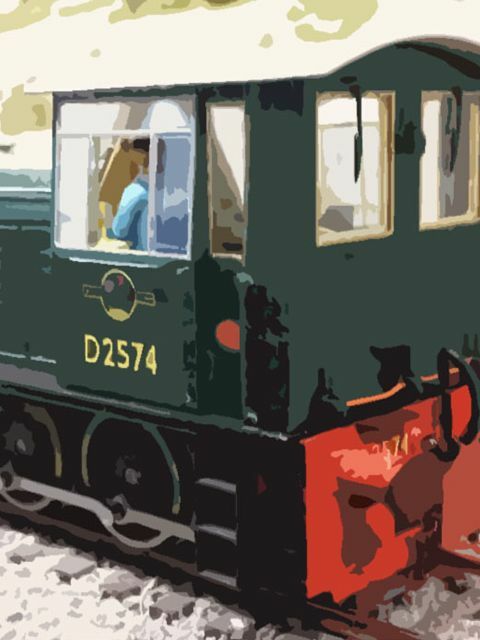 The decoder is hard-wired and mounted toward the back of the loco, into the roof of the cab. Some filing is required of the gear-box housing and cab interior. 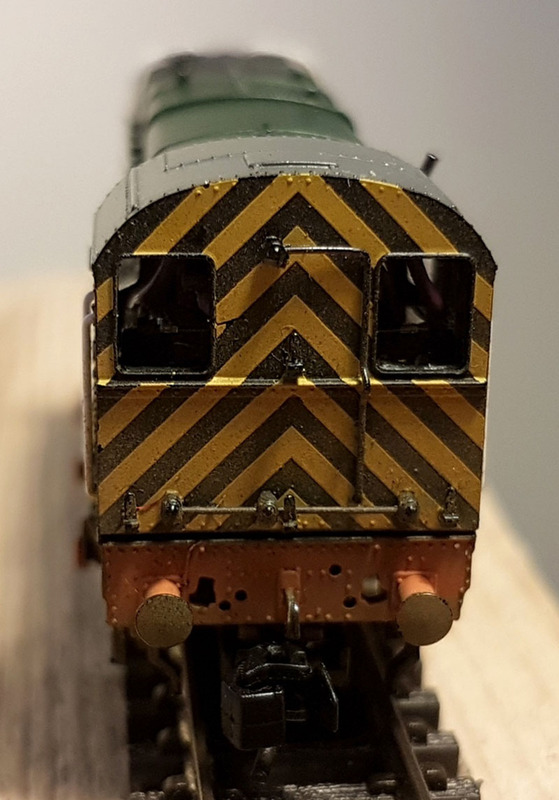 A Minnow speaker fits just about perfectly with a little fettling in the cab (some off the floor and the glazing removed. Our example here shows a Minnow6, but you might want to settle for a Minnow4 or Minnow5 to make the install a little easier. Our final 08 takes the above example one more step by adding a small stay-alive. You are unlikely to completely cure all slow-speed stalls in this little model, but the addition of the SACC16 board and a single 330uF Tantalum makes a big improvement. 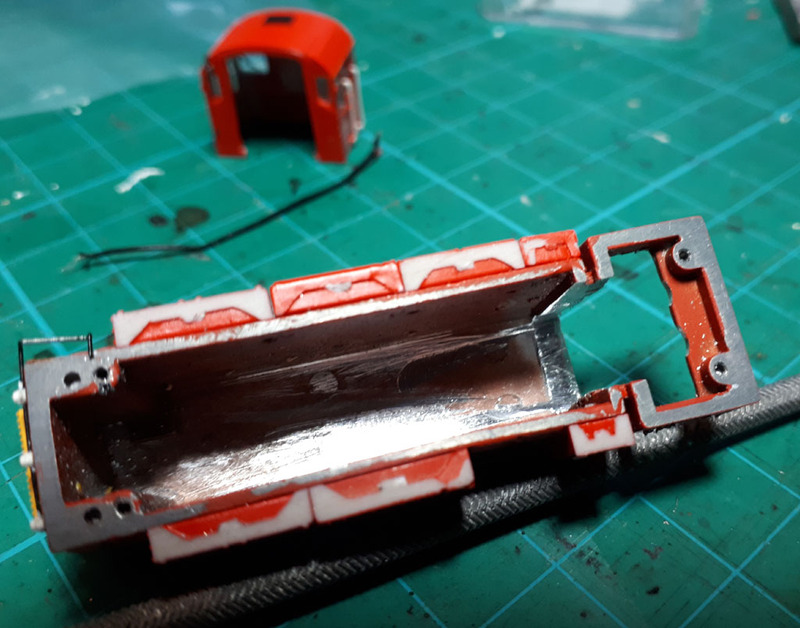 Remove the body, and carefully slide the plastic cab up away from the metal body. Remove the motor mousing and grind as much as you are comfortable to do. We kept going until the outline of the frame started to appear! 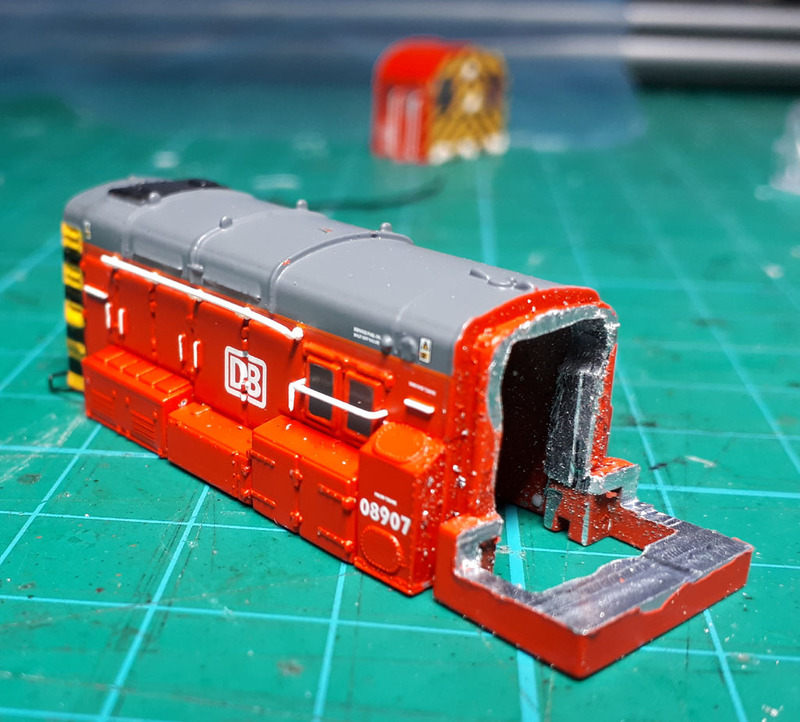 Grind off the entire cab detailing from top to bottom, and a chunk out of the cab floor. With hind-sight, we probably would have taken another mm off the floor area to make fitting the speaker slightly easier later. This is all done with a combination of a milling machine and hand files. We have also milled the roof at the back to make it slightly flatter for the decoder to sit as high as possible. 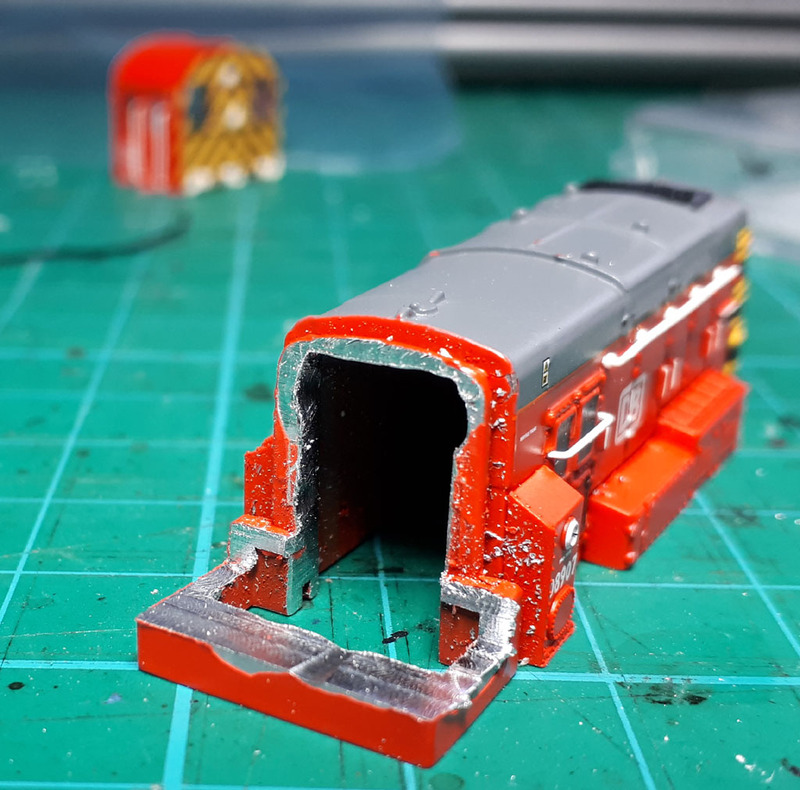 The MX649 is too wide to go through the aperture into the cab space, so the side walls need to be worked thinner too. Keep testing the fit by putting the decoder into place until it slides in comfortably. 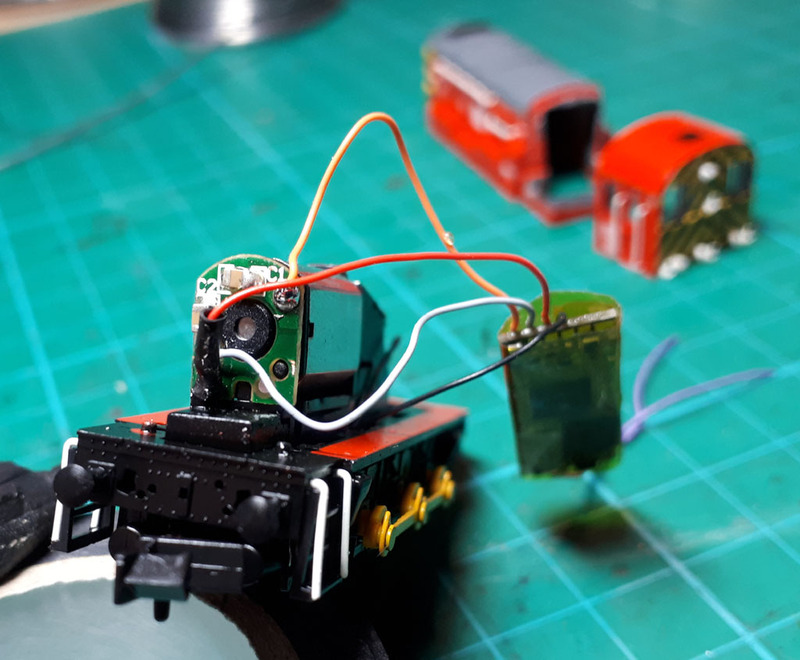 With unwanted wires removed, and Kapton to tape wrapped around, we wire the decoder into the model's pickups and motor, same as all the other examples. Speaker wires retained too of course. At this point we had no idea that a stay-alive was going to fit, so we don't yet see the wires for that! Now we can put the metal body back on and screw it back into place, and start test-fitting the speaker. Here we have used a Zimo MicroCube speaker with a YouChoos enclousre to make it up to 6mm. 6mm enclosures can be supplied by special request. At this point we also notice that there is a little extra space at the back of the motor housing, which just might accomodate a cut-down SACC16 board with a single Tantalum capacitor, so that's what we have. 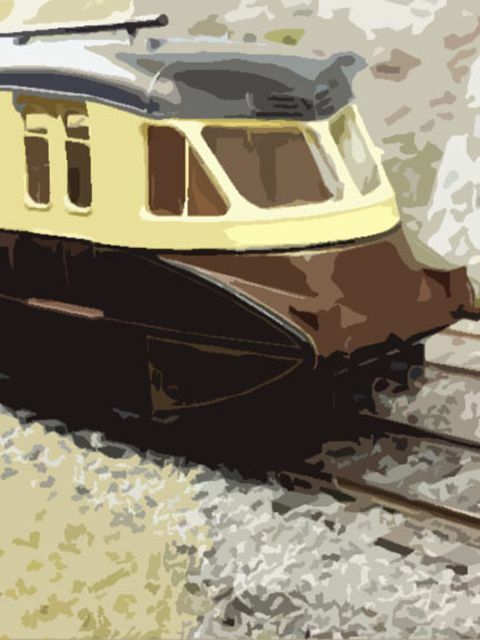 We've gone with a 330uF tall/narrow Tantalum. Lots of test-fitting at this point. With the SACC16 and Tantalum wrapped in Kapton tape now, we squeeze everyhing gently into place. This is where a little extra depth taken off the metal cab floor would have been useful, but it just goes in anyway. Ensure that the speaker wires cannot touch the metal of the cab floor. 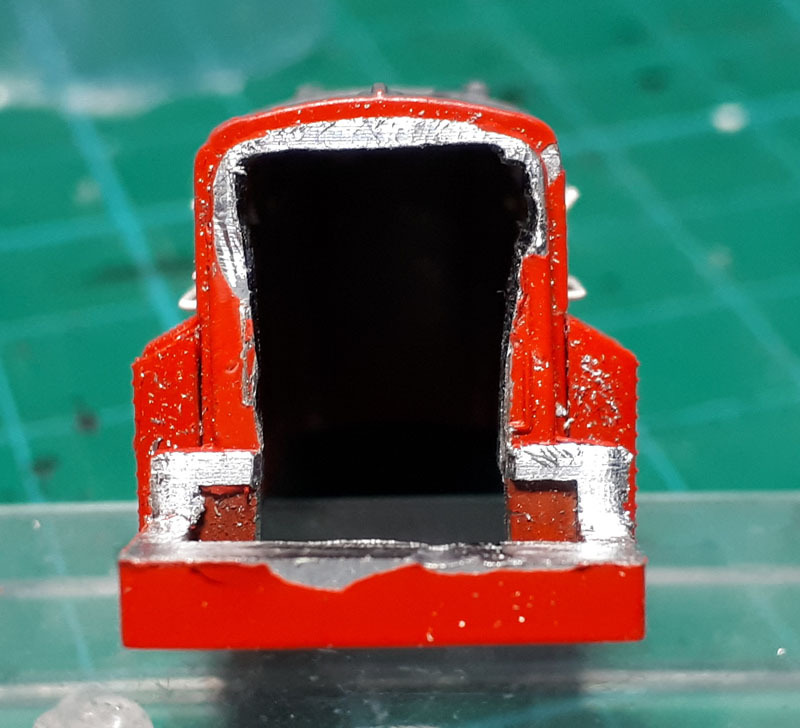 The clear plastic of the rear window must be filed down a little so that the cab can slide back on, but on it goes, all flush! 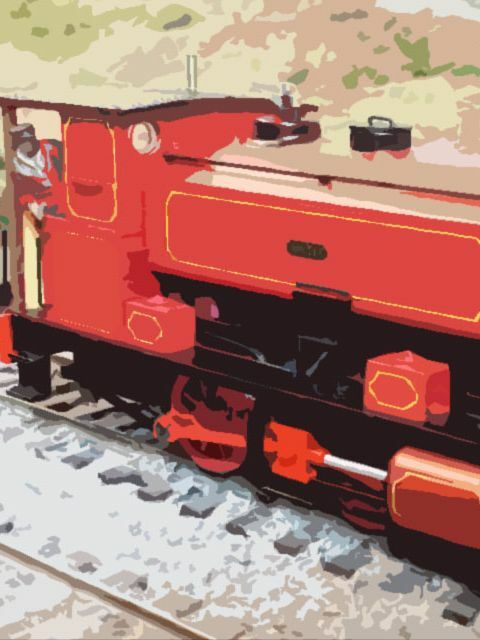 Back on the track, and now with sound and stay-alive - marvellous!